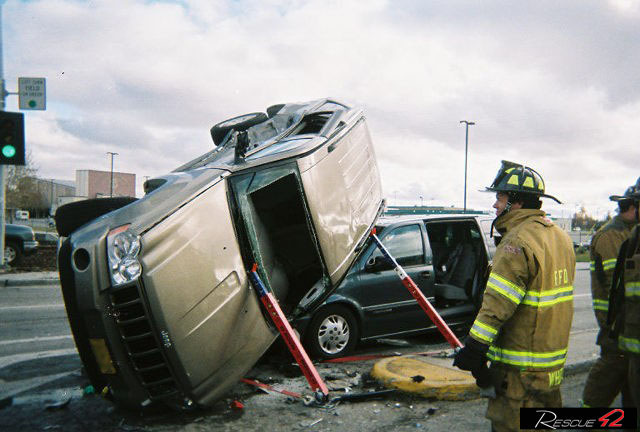 As first responders know, vehicle stabilization and extrication is a process that poses a wide range of challenges. In some cases, advances in vehicle technology mean that you’ll be facing new issues. In other instances, you’ll respond to an incident that involves challenges you haven’t tackled in a decade or more. That’s why we’re glad to see that our customers are 1) continuously training on extrication maneuvers, and 2) frequently touching base with us to ask about advances in extrication tools and technology. The first responders we talk with say there is tremendous benefit in having a training day set aside regularly during which they can move through progressively more difficult extrication scenarios. Using donated cars, instructors create increasingly challenging configurations and allow participants to work through how to stabilize the vehicle(s) and safely remove patients. Securing the scene. It’s critical that the active site is safe not only for patients and rescuers, but for EMTs, police officers, media personnel, and bystanders as well. Gaining site access. In some cases, work must be done to give crews access to the crash site even before they consider the best extrication method. For example, a crashed vehicle that is off the road and surrounded by trees or undergrowth, or a vehicle that has come to rest on a steep embankment, pose unique access challenges. Performing patient triage. An initial general assessment of the condition of patients helps first responders form a plan of action and a timeline that will ensure they get the treatment they need in a timely manner. Ensuring vehicle stability. Before any action is taken to remove patients, the vehicle or vehicles involved must be completely stabilized. Failure to do so puts everyone involved at risk. Deconstructing the vehicle. Whether it’s removing a door, peeling back the roof, or performing some other cutting/spreading procedure, it must be done thoughtfully and carefully. Safe patient removal. Patient safety is a first responder’s top priority. The last thing you want is to create a path for extricating a patient only to injure them due to poor planning or execution of the actual removal. One of the issues that departments face with this type of training is that the donated cars they use to practice vehicle extrication are frequently older models that don’t always represent the latest in technology. Fortunately, there are a growing number of extrication-focused apps that can tell first responders about a vehicle’s restraint systems, reinforcements, and engine systems. This can be especially important with hybrid vehicles and their high voltage batteries. The details on their electrical systems provided by the apps are very helpful, but one quick rule of thumb: use extreme caution with orange cables! Newer, stronger metals used in the manufacture of vehicles are also a challenge. Getting familiar with the amount of force and types of techniques needed to deal with them in a training session can provide a tremendous time and safety advantage in the field. The two keys to meeting any vehicle stabilization or extrication challenges you encounter are proper training and the right tools. 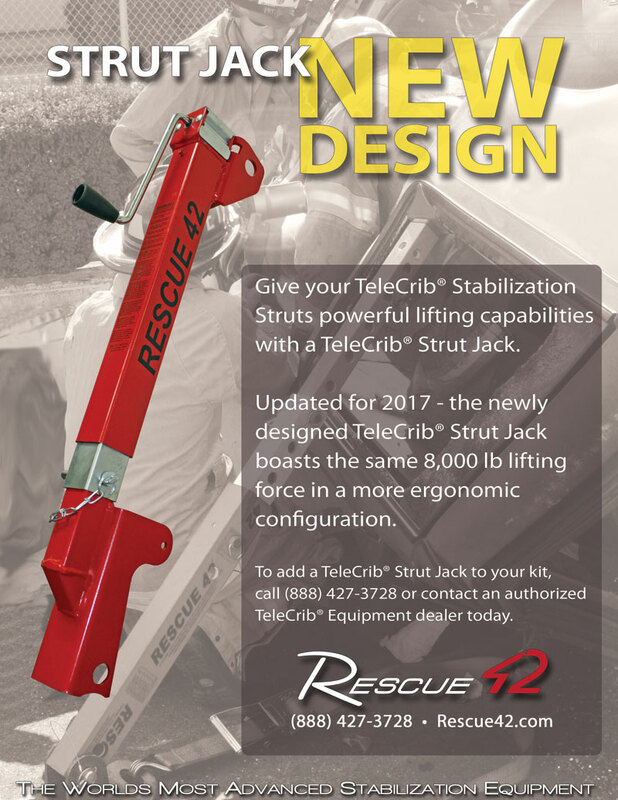 To learn more about our state-of-the-art product line, call (888) 427-3728 or email sales@rescue42.com.